Can anyone stop the Penguins? [+3] - George - 06/23/2013Well, it started off looking pretty good, but over time it has become bloated, awkward and unsightly. But enough about me. [+3] - joefromchicago - 05/02/2014Tough loss for Boston last night, but I still think the Bruins will be the team to beat this year. Well...of course you would, you Bahstonian. Who plays the Bruins in the Cup? haven't been following the other teams. I'm hoping one person out of the quarter million is following hockey. It seemed like Chicago would be eliminated by Detroit, but Chicago won 4-1 on Saturday. They are playing tonight in Detroit. I am waiting to see what happens. Oh, I'm sure there's a few of us following the Stanley Cup play-offs, especially in New England, now that the Celtics are done. But good luck finding anyone who thinks the Penguins will lose a series! I don't know much about hockey, but they have two recent league MVP's on their team in Malkin and Crosby, which I suppose makes them the "Heat of hockey". 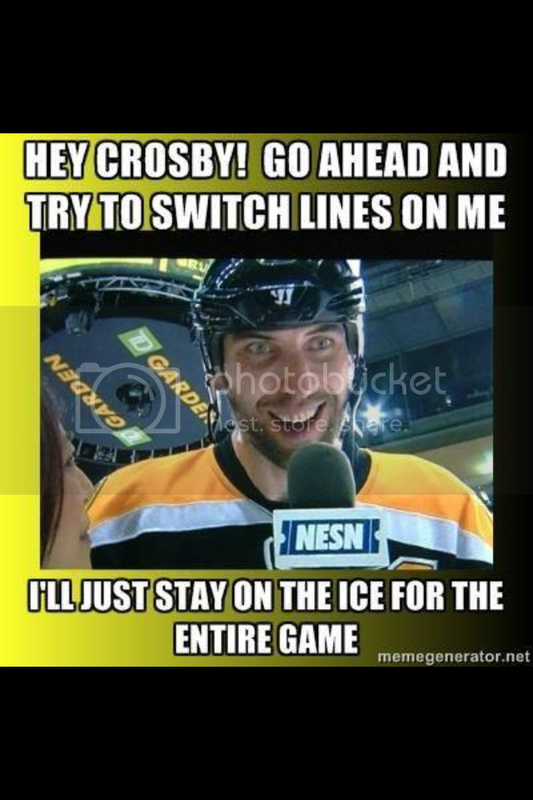 I'm rooting for the Bruins...I love that goofy S.O.B. Chara. Agree it's probably Hawks Pens for the Cup. Is he healthy or hurt? Blackhawks won 4-3 last night. Game 7 in Chicago tomorrow night! Very nice for all the Bruin fans out there! Go Bruins! what a surprise to see the Penguins so rattled. Nothing but errant passes and bad defense. At this point I'd rather see the Bruins play the Hawks. I watched both wins, but I'm still not comfortable. 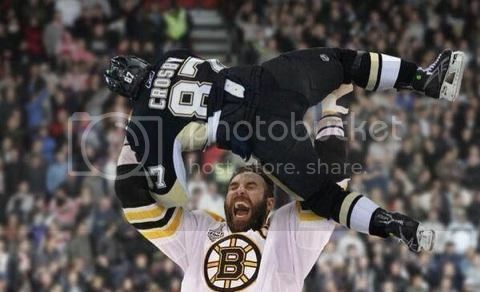 Marchand & Cooke have been fun for those of us who like a little nasty in the brew. If they say they did they're lying. Ever since the miracle against the Leafs they've been destiny's team. Did you see the Pens Cooke jawing with Marchand with 10 seconds left in the period ?....and then Brad disengages and fires a bullet for a score. I was trying to read his lips as he circled back towards Cook.e..was it neener neener?